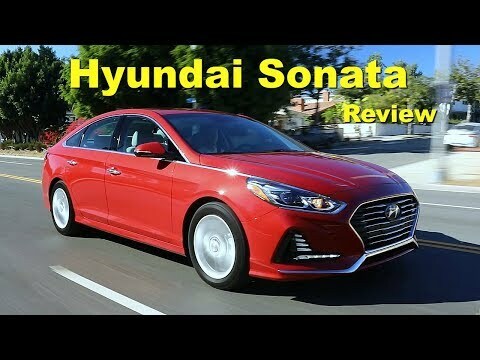 Up against strong sellers like the Camry, Accord and Altima, the Sonata already stood out with tremendous value for the money, a wide variety of engines, the latest in high-tech, and a comfortable and quiet driving environment. Refreshed for 2018, the Sonata's significant update adds more muscular styling, a redesigned interior and a new transmission for the turbo engine. The best feature of the car is the trunk. It has amazing space. I love how smooth the car looks on the outside. It is casual and can be taken to many different events. It makes for a good spacious car but also is small enough to still feel sleek. The black detailing on the inside is very professional and gives a nice elegant finish to the car. When I drive this car I feel very empowered. It is always a smooth ride and the stereo is really great. The car is definitely reliable as I have not had any issues since having it for a couple of months. It gets me to where I need to go quickly and in style. I think it is a great unisex car. Either a male or female can feel comfortable driving it. I believe it has a perfect amount of storage and the backseat has plenty of room for the passengers legs. If I could improve this car so would say to maybe have more options for detailing and also possible heated seats. A remote starter for the winter time would be very nice as well. It is a car but very spacious and lots of legroom and trunk space. The Sonata is spacious and comfortable. When I bought it brand new, the pearl white paint seemed to be very nice. After further inspection there seemed to have some circular rust stains on the hood. The engine also seems pretty strange. After a couple of days of driving it, the car started to lag. It seems as if the engine is having a hard time accelerating. When stuck in traffic and moving a snail's pace the car jerks quite a bit. The mechanic assured me that the engine needs to be broken into and should be normal after the first oil change. It is been a year and the issue is still there. I am taking it in again to assess the issue once more.